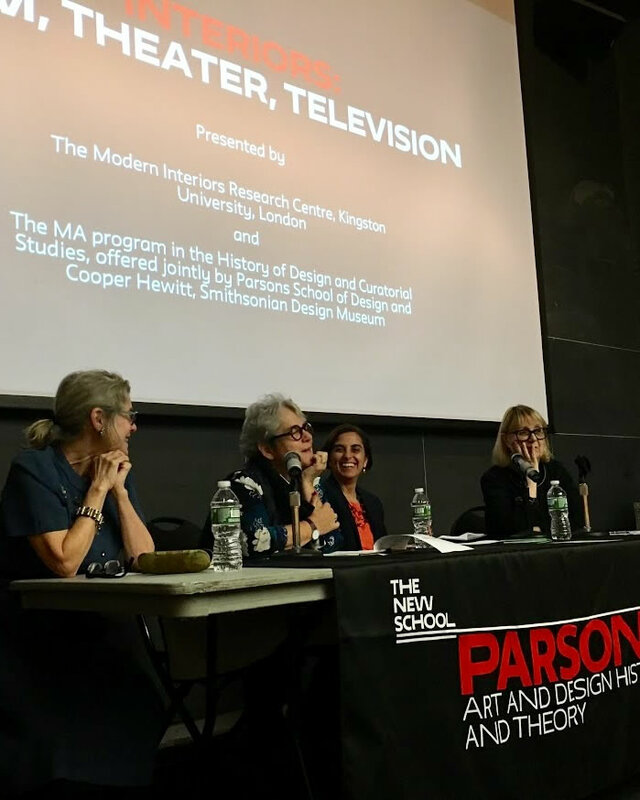 The intersections of film, theater, and television, and the cultural, social, and political roles that the interior has played throughout history, was the focus of a recent symposium at The New School. Hosted jointly by the MA program in the History of Design and Curatorial Studies (HDCS) at the School of Art and Design History and Theory at Parsons School of Design and The Modern Interiors Research Centre of Kingston University, London, “Interiors: Film, Theater, Television” featured speakers from the academic, film and curatorial worlds who delved into a variety of topics in panel discussions. Presenters included Christian Larsen, Associate Curator of Modern Decorative Arts and Design at Metropolitan Museum of Art, who examined themes of the environment and “ecofeminist suburban horror” in Todd Haynes’ gripping drama Safe; Sorcha O’Brien, Senior Lecturer of Design History and Theory at Kingston University, who explored the nostalgic interiors of the fantasy/science fiction 2002 television program Serenity; Sarah A. Lichtman, Assistant Professor of Design History at Parsons School of Design, who looked at the translation of Anne Frank’s wartime hiding place into the set designs for the 1955 Broadway play, The Diary of Anne Frank; Alice T. Friedman, who considered mid 20th-century films which portrayed New York City wealth while subverting social convention through subtexts dealing with gender and sexuality; and Marilyn Cohen, Assistant Professor at Parsons School of Design, who reflected on the evolving interiors of I Love Lucy from the standpoints of domesticity, gender, and pop culture. The speakers were welcomed by event chairs Pat Kirkham of Kingston University and Sarah A. Lichtman, Director of HDCS.